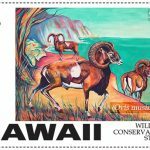 (Honolulu) –The Department of Land and Natural Resources, Division of Forestry and Wildlife would like to thank all the wildlife artists who submitted art entries for the 2019-20 Hawai’i Wildlife Conservation and Game Bird Stamp Art Contest. A committee reviewed all submissions and two winners were chosen. 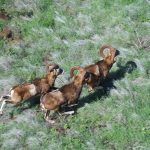 (Hilo) – The DLNR Division of Forestry and Wildlife (DOFAW) will conduct animal control activities next month for trapping mouflon/feral sheep hybrids and for; staff hunting, and/or aerial shooting from helicopters for feral goats, feral sheep, mouflon and mouflon/feral sheep hybrids within palila critical habitat in the Mauna Kea Forest Reserve (Unit A), Mauna Kea Ice Age Natural Area Reserve (Unit K), palila mitigation lands, and the Ka’ohe Game Management Area (Unit G) on the island of Hawai’i. 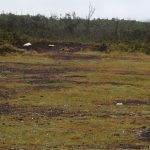 (Hilo) –The Department of Land and Natural Resources Division of Forestry & Wildlife (DOFAW) announces the closure of the Kahua/Ponoholo Ranch Cooperative Game Management Area for game bird hunting on Saturday and Sunday (December 22 – 23, 2018) due to poor road conditions resulting from recent heavy rains. 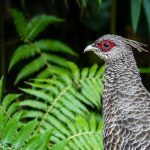 HONOLULU -- The Department of Land and Natural Resources announces the 2018-2019 Game Bird Hunting Season opened on Saturday, November 3, 2018. The fall game bird hunting season will run through Sunday, January 27, 2019. A valid hunting license and a game bird stamp are required for all game bird hunting on public and private lands. All game bird hunting is regulated by Hawaii Administrative Rules Title 13, Chapter 122 (see http://hawaii.gov/dlnr/dofaw “Administrative Rules” for all legal hunting days). 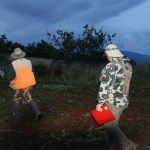 (Maunakea) – Two weeks before the hunting season for game birds opens in Hawai‘i, hunters, researchers and staff from the DLNR Division of Forestry and Wildlife (DOFAW) traipsed across the rugged terrain on Maunakea’s north slopes to gain a better understanding of game bird density, variety and populations.